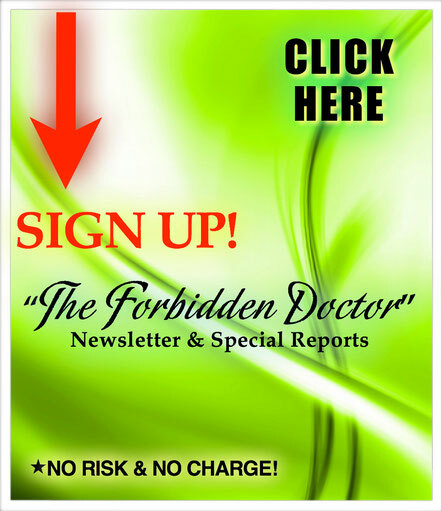 Check Out The Forbidden Doctor Podcast! 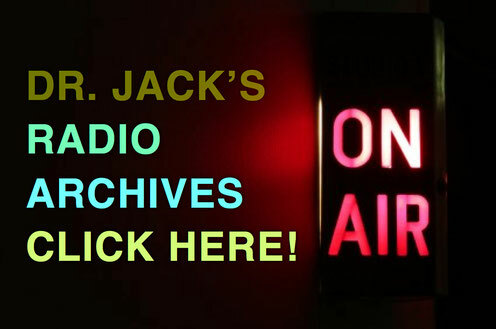 After an amazing 20 year run, Dr. Jack is not longer with K-Talk Radio. His incredible show will be missed! But he is so excited to continue his awesome health shows with his new Podcast! *Click picture below and player will pop up in a separate window. Dr. Jack is On The Doug Stephan Good Day Show Every Tuesday! I was reminded today of your radio show and it got me to thinking about my mother, Maureen Ellingford. She would listen to your show religiously. First she had to listen on her car radio as that was the only radio she could pick it up on. She would park the car by the kitchen window so she could listen while preparing breakfast etc. Often she'd run the battery down on the car. Then she purchased a particular radio for the sole purpose of listening to your show, but it didn't work out too well. Next she figured out how to listen online but the computer was tucked away in a room away from the kitchen. She'd have the speakers turned up as loud as they'd go so she could hear. Finally she got wireless internet and purchased a laptop so she could listen to your program online in the kitchen. She was quite impressed with your depth and breadth of knowledge and appreciated your insights. I'm not sure if word reached you of her death. She passed away suddenly and unexpectedly last August. She is dearly missed by all who knew her. And I believe you've lost your biggest fan."